First Friday Adoration from 9:30am-10:00pm. Drop-ins welcome, or sign up for a regular time with Marilyn Lippard. 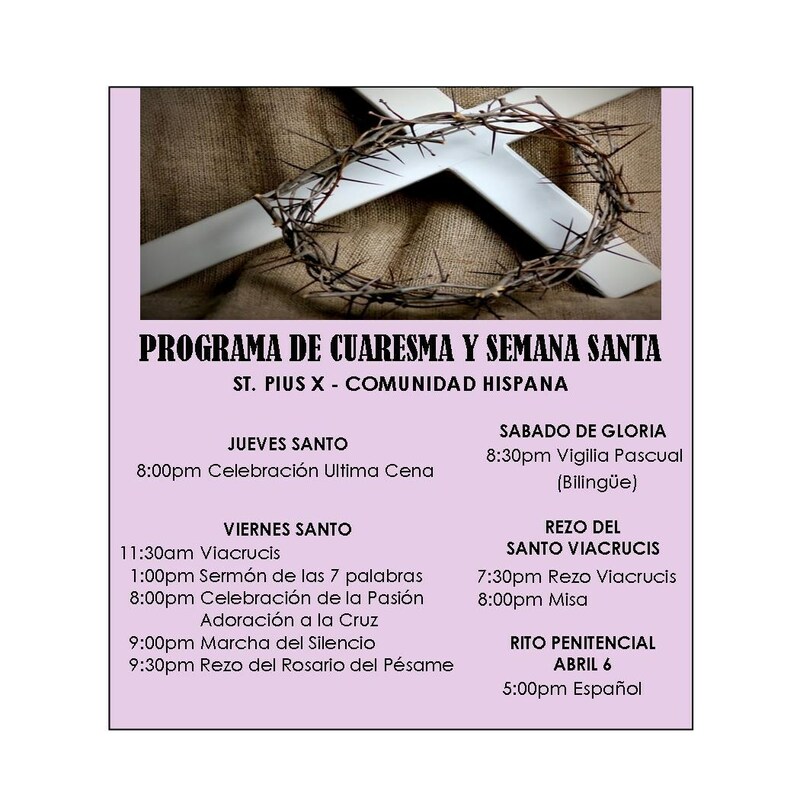 Have plans to be away from St. Pius X while you travel? Find Mass times for churches nationwide at http://catholicmasstime.org/.